The First Women Allowed to Perform on Stage in Iran, Coming to the USA! 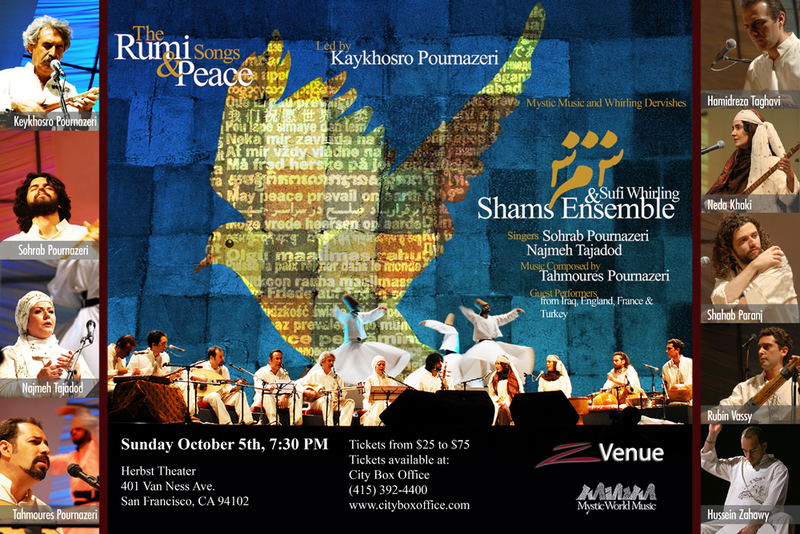 Shams Ensemble will perform for one night only in San Francisco on Sunday, October 5 at 7:30pm at Herbst Theater. On tour from Iran, this is the first musical performance group to publicly feature female vocalists as well as dancers since the revolution of 1979. The focus for the evening is Rumi and songs of peace. Imagine, not being allowed to perform on stage because you are a women!! We are soooo lucky to live in a free society. I will be there helping out, so if you want to come, please join me! You can buy tickets HERE.